Photo pitch Central African Republic for The Guardian Global Development. 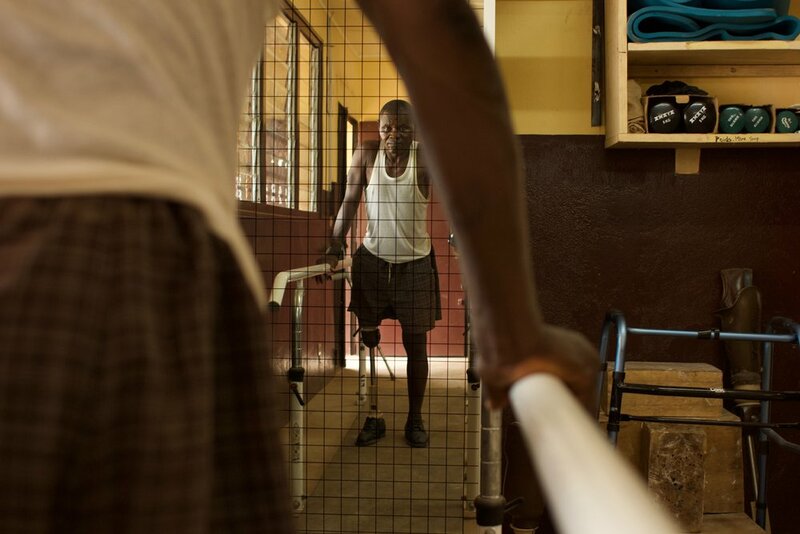 Left: Five-year-old Exaucé Bagaza takes his first ever steps at the ANRAC prosthetics centre in Bangui. As a baby, Exaucé lost his right leg due to a stray bullet fired by rebels. Right: Exaucé holds his mother’s hand while listening to his physiotherapist. Clockwise from top left: Ursulla Demba (14) lost her leg last summer in a car accident. Mathias Siobendo (54), a former army corporal was injured in a church attack in 2018. Fuel tradesman Chrisoston Ateba (41) lost his hand in a grenade attack. 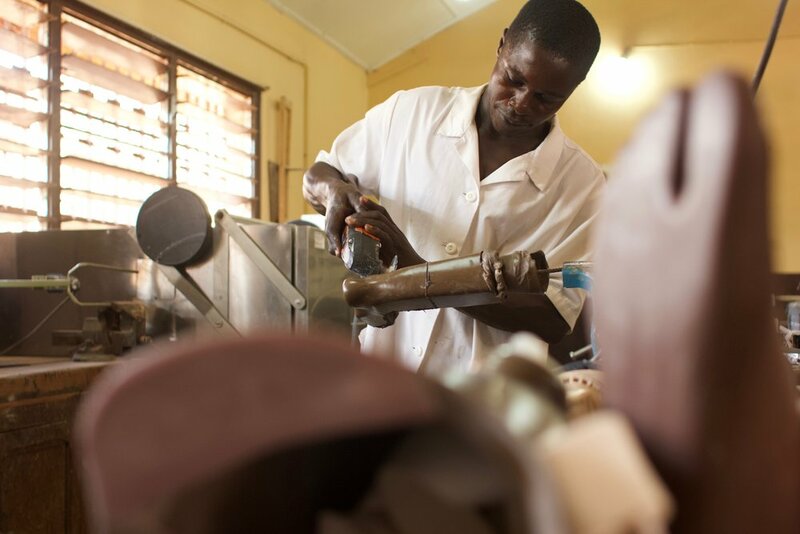 Technicians mould, saw and hammer artificial limbs.